We have recently completed a project funded by The National Archives to update and computerize the Manorial Documents Register for Worcestershire. 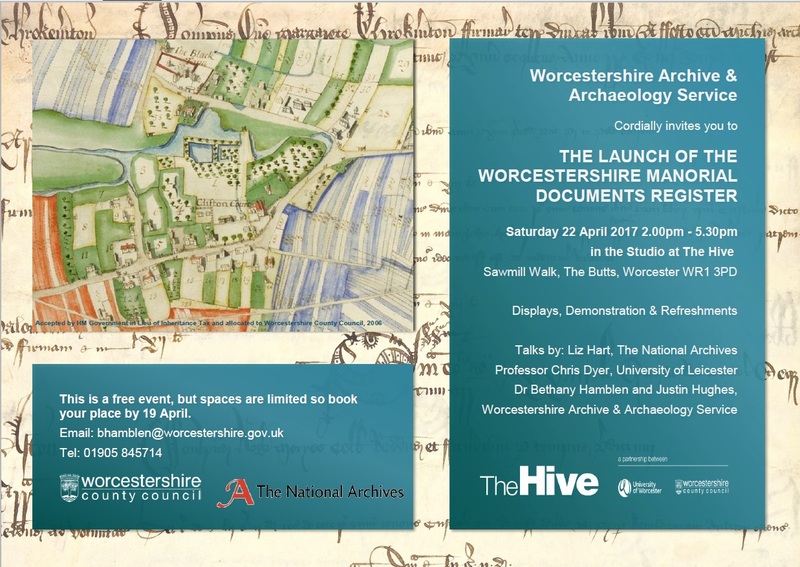 Come celebrate the launch of the database with us at The Hive on Saturday, 22 April, and learn more about these fascinating records and what they can tell us about Worcestershire’s past. There will be talks, displays and a demonstration. Tea, coffee and biscuits will be available! This is a free event, but places are limited, so book your place by 19 April. 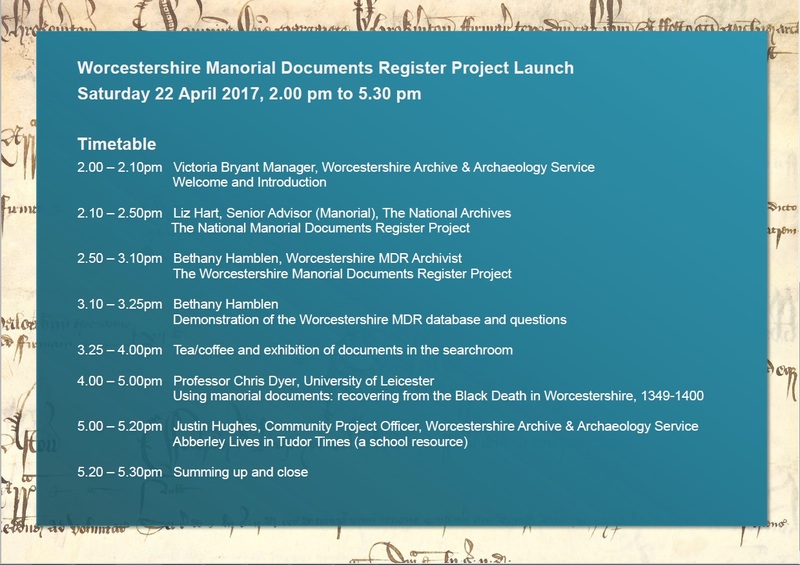 To book, please submit an enquiry online and simply quote ‘Manorial Document Register Launch’ in the information box provided. Alternatively, phone us on 01905 845714.